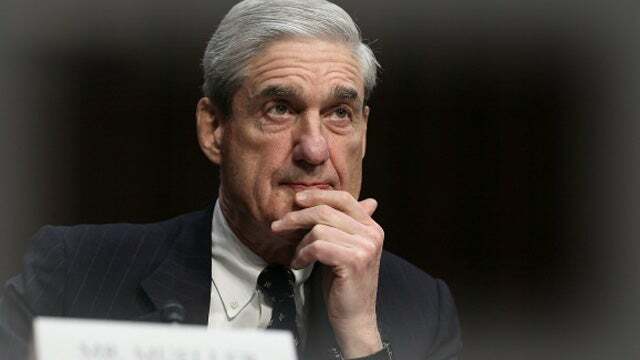 RUSH: There are three judges now openly questioning the entire Mueller investigation from their positions on the bench, and perhaps one of the funniest ones… You remember when Mueller indicted 13 Russian troll farms? They’re housed in Ukraine or Stalingrad, Leningrad, Snowdengrad, wherever they are. And of course these indictments, Mueller never expects these people to respond. Mueller never expects these people to show up. Mueller never expects these people to be extradited. Mueller never… So he indicts ’em purely for the PR of it. Indicting these 13 Russian troll farms for their supposed monkeying around with Facebook and Twitter and the selling of ads or placement of ads was designed to further the illusion that Trump colluded with Russia. Well, one of these troll farms has decided to show up and answer the charges, and Mueller has been totally taken aback. They don’t know what to do! Because now if they pursue this, Mueller is gonna have to display his case. Mueller’s gonna have to answer discovery. Mueller is gonna have to put on display what he’s got against these Russian troll farms, and it is the last thing… Look, do not doubt me. It is the last thing Mueller ever expected to happen. The firm is Concord Management, and I am as sure as I’m sitting here that Mueller had no idea that any of these 13 Russian firms or entities would do anything in response to the indictment. Now, Mueller, the special counsel, had to move at rapid pace here in response to this. His team tried to say that the Concord Management people never formally accepted the court summons related to case, so they really can’t defend. (laughing) Mueller is trying to tell ’em they can’t defend themselves pause the time has passed, that they didn’t formally accept court the court summons — i.e., they didn’t accept the demand to be extradited. But the Russians hit back on this. They filed a response Friday to let the court know that they voluntarily appear through counsel as the provided in the Federal Rules of Criminal Procedure. They further intend to enter a plea of not guilty, and they want to demonstrate that all of this is a bunch of hooey — and I guarantee you, this is the last thing Mueller ever thought he was gonna have to deal with. ‘Cause they were never expecting this. Folks, this is great. Mueller’s team immediately asked for a delay in order to postpone such revelations as long as possible because there’s a Wall Street Journal today about how special counsel may have to “go dark at some point later this year leading up to the midterm elections. Not that the special counsel’s gonna wrap it up. “Oh, no, no, no, no! He might have go dark,” which is a crock. The special counsel isn’t gonna go dark. The special counsel’s not gonna stop leaking. The special counsel is not gonna stop trying to get Donald Trump. They’re gonna rev it up as we get closer to the midterms, not go dark! They might say they’re gonna go dark. They might want you to believe they’re gonna go dark. But they’re not gonna go dark. They’re not gonna go silent. They’re not gonna shut down. Now, this firm, Concord Management, deciding to answer the charge, they want this trial right now. They want the evidence presented right now. Mueller asked for a delay, and the judge said no. They wanted to postpone any reveal, any revelations of evidence they’ve got against the troll farm as long as possible. The judge in the case denied their motion for a delay. So things could get very… There have been three instances now where judges have either offered unsolicited opinions from the bench or issued rulings that are perilous, potentially damaging for the special counsel. And it’s got the left discombobulated. Adam Schiff, Pencil Neck’s running around, “This is very inappropriate, I think, for these judges to be speaking the way they’re speaking, for these judges to be saying…” See, these people are used to a clear playing field with no opposition on the field. And the minute opposition shows up… Remember, they’re running a con game anyway here, folks. They’re running a scam! And these judges are in the process here — whether intentionally or inadvertently — they’re running the risk of exposing this about Mueller! Legally. Not just from opinions from people on radio, TV blogs or what have you. So it’s perilous time in the sense that they’re dealing with things at the special counsel office that have not been put in their way before, obstacles and so forth. 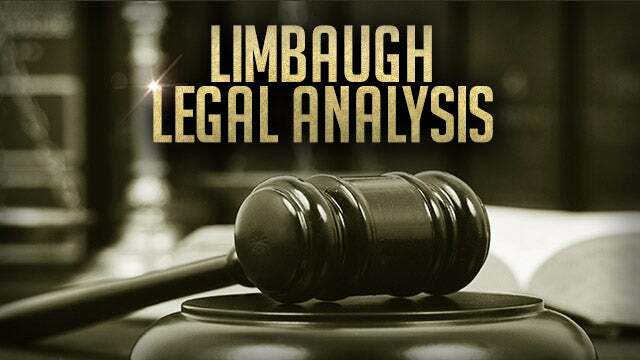 RUSH: Now we’re taken back to these three judges that have now called out this investigation. I’ve spoken about one of them, and that’s the Concord Management case, one of the Russian troll farms. There are 13 of them that Mueller indicted for having tampered with Facebook and Twitter. These people had run ads that the Russians had sponsored and paid for. These people had run the ads on Facebook and Twitter, and the purpose of the ads was to tell people that Donald Trump had stolen the election from Hillary Clinton or something like that. It was all a bunch of lies. Since then we’ve learned that the amount of money they spent on ads and the number of ads would not even cause a ripple in the ocean. They could not have had any impact whatsoever. But Mueller for PR purposes indicted these Russian troll farms and accused them of trying to sabotage the American election with the placement of ads on Facebook and Twitter. Well, one of these firms has decided to plead not guilty! They’ve decided to respond. Mueller never expected this because these were PR indictments. These were Russians, Ukrainians. There’s no extradition treaty. There’s no way Mueller thought these people would even respond. So he thought he had a free and clear way of scoring a major PR victory by indicting 13 Russian troll farms for tampering with the American election via Facebook and Twitter. Well, one of them has decided to respond to it and plead not guilty. They’re commanding to see all of the evidence that Mueller has that he used to indict them. They’re demanding for all kinds of discovery to see just what Mueller found out, what evidence he’s got so that they can defend themselves. Mueller — so taken aback — asked the judge for a delay, a postponement, and the judge denied. So now the special counsel’s office has to come up with and they have to put on display to Concord Management’s legal team all of the evidence they claim to have to prove that these people tried to tamper with the American election. And again, Mueller never intended this to happen because the reason you indict a bunch of foreigners with no extradition treaty is so that you never hear from ’em again. The theory is, “Yeah, we got the goods on ’em, we know they did it, but they’re not gonna respond because they don’t have to. There’s no extradition treaty.” Well, these people at one of the 13 troll farms has decided to defend themselves. So as of Friday, three separate judges have spoken out or ruled against the Mueller investigation. Now, the first one… People may not remember this one. The first one was in February. “The federal judge [Emmet Sullivan] assigned to the criminal case against … Flynn has ordered Special Counsel Robert Mueller to turn over any ‘exculpatory evidence’ to Flynn’s defense team.” This would be what we learned in the unredacted House Intel Committee report on Friday, that there isn’t a soul at the FBI that thought Flynn had lied. Judge Sullivan in February “ordered Mueller’s team to turn over any ‘exculpatory evidence’ to Flynn’s defense. Instead, Judge Sullivan issued the order invoking the Brady Rule, which requires prosecutors to turn over previously unfiled evidence that might have a material impact on a defendant’s case. Two days before the judge’s order, Mueller had filed a motion for a protective order regarding the use of evidence in the case, including sensitive materials which would be provided to Flynn’s lawyers,” meaning they wouldn’t have to turn over this exculpatory stuff. The implication was that maybe Flynn might not have pled guilty if he’d a known that nobody at the FBI thought he lied. Mueller knew. Mueller knew that not a soul that interviewed Flynn thought that he had lied, and yet look what he did. He pursued Flynn to bankruptcy, pursued Flynn to the point where Flynn had no choice but than to plead guilty to stop this because he was out of money. And where’s Flynn gonna go get money? They’ve destroyed Flynn at this point. Flynn doesn’t have any PR. Flynn doesn’t have any supporters. Everybody thinks Flynn’s guilty as hell here on innuendo alone. But everybody involved on the prosecution side knows that nobody that interviewed him thought that he had lied — including, again, Peter Strzok. And then, of course, we had the judge last week, Judge T.S. Ellis, who just excoriated Mueller’s team in his courtroom for all kinds of things. Including noting that the special counsel’s indictment against Manafort doesn’t mention Russian individuals, Russian banks, Russian money, Russian payments to Manafort. The judge accused them of just wanting to get to Manafort to get to Trump, that their real purpose is to get Trump. It was unprecedented for a judge to speak this way. And the judge, T. S. Ellis, demanded the memo from Rosenstein to Mueller that gave him his original instructions or charge in beginning this investigation. It’s called the scope memo, and Mueller has resisted making it public. So has Rosenstein. This judge has demanded to see it within two weeks. He did say that he would accept it in private in his chambers. He would look at it himself before making it public. But he said that Mueller should not have unfettered power to prosecute Manafort for charges that have nothing to do with Russian collusion between the Trump campaign and the Russians. Now, I just want to tell you something here about this. If this gets thrown out — and that’s what this is ultimately about. Manafort wants the case thrown out for basically what the judge said. This case has got nothing to do with collusion. This happened before the presidential campaign had even begun. This is unfair. The DOJ had already looked at Manafort on these charges and decided not to pursue. Here comes Mueller. We’re gonna get Manafort because Manafort was close to Trump. If this judge throws Manafort’s case out, it isn’t over. They’ll just change the venue. They’ll go back and refile the charges in a different court, different jurisdiction. It won’t mean that Manafort’s off the hook if this judge grants him a win here in tossing the case. Mueller is not gonna let this go no matter what this judge does. He’ll find a judge that’s not a Reagan appointee or a jurisdiction and refile the case against Manafort somewhere else. This will not be double jeopardy because Manafort will not have been tried and found not guilty. If his case is thrown out because this judge says, “There’s no basis for this case,” then Manafort will still have to deal with the possibility that Mueller will take it to another court. And, of course, the third judge is the judge in the Concord Management case, which I’ve been describing. So three different judges now — either by ruling or proclamation — have dealt serious blows not only to Mueller’s case but Mueller’s intentions. Now, up next, audio sound bites that illustrate this is having an impact on the left and the Democrat Party and their enthusiasm for impeachment.